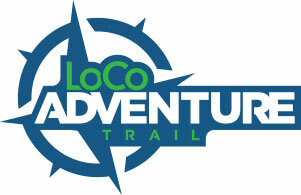 Loudoun County is fortunate enough to have multiple ways to navigate around the popular LoCo Ale Trail. For the more active beer drinkers, a great way to explore the county — and the breweries— is by way of the Washington & Old Dominion Trail (W&OD). 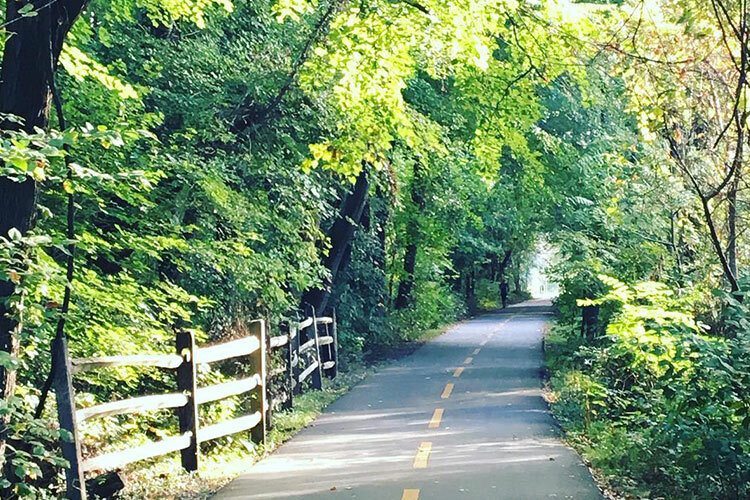 The W&OD is a paved trail that runs 45 miles long connecting the bustling city of Washington D.C. to the tranquil countryside of Loudoun County, Virginia. With many breweries just steps away, the trail is perfect for cyclists and craft beer enthusiasts alike. All the breweries along the trail welcome cyclists and it is not uncommon for tasting rooms to have as many bikes parked outside as they do cars! In Loudoun, you can catch the trail in Sterling, Ashburn, Leesburg or Purcellville, creating many access points to plan your trip. Plan ahead and hit an entire cluster or bike from town to town for the full LoCo experience. 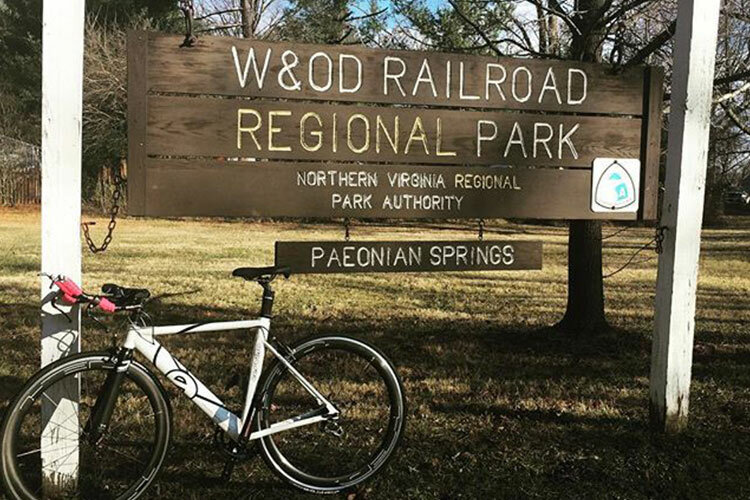 Representing western Loudoun, the charming town of Purcellville is where the W&OD trail begins! 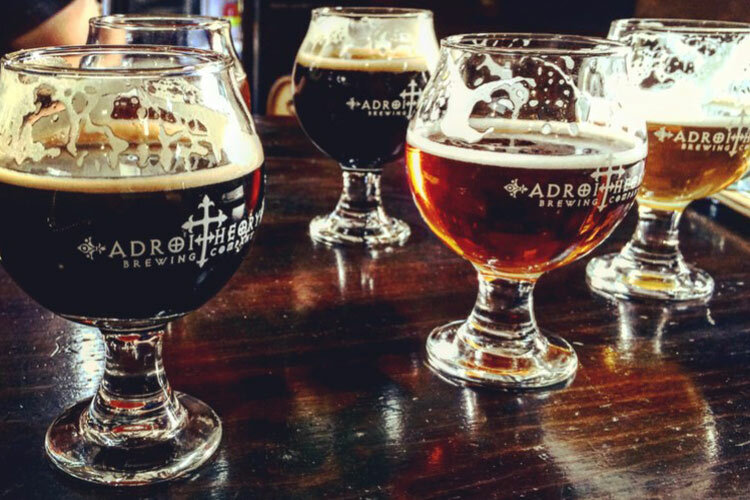 Known as “Everybody’s Home Town,” downtown Purcellville boasts several eclectic boutiques and breweries, including nano-brewery Adroit Theory, known for barrel-aged brews and a rotation of creative flavors! Need a snack? Be sure to swing by local favorite, Monk’s BBQ. A lot of options await you in historic downtown Leesburg! Just steps off the trail, Leesburg has the largest cluster of breweries all within a mile radius of each other and the trail – talk about easy access! The downtown area is also stocked full with plenty of delicious restaurant options to refuel, including Fireworks Pizza, King Street Oyster Bar and Delirium Cafe! Head east on the trail and you will enter Ashburn, home to Old Ox and Lost Rhino. As two of the original bikeable breweries in the area, you will not want to miss these Loudoun staples. Next up, try Ashburn’s newest brewery, The Craft of Brewing, where you can taste unique homebrewer recipes on site! Continuing east, Sterling offers three more off-the-trail options perfect for a cold refreshing pint! At contract brewery Beltway, try different brands of beer right in their tasting room. Or visit Loudoun’s newest brewery, Rocket Frog. Next door is Crooked Run’s second location where you can order delicious tacos to pair with your craft brew – yum! Previous ArticleQuick Hits: Too Risky?